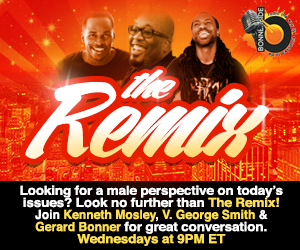 Tonight on The Remix, our hosts Kenneth Mosley, V. George Smith, and Gerard Bonner talk Hot Topics! Everything from the NBA and Michael Jackson, to Nigeria and the Celebration of Gospel is on the table tonight. Plus, hear the guys and their tribute to for Mother’s Day. Check out music from Michael Jackson, Justin Timberlake, John Legend, The Roots, JJ Hairston & Youthful Praise, and more. 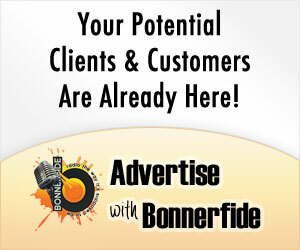 This entry was posted in Podcasts, The Remix and tagged Bonnerfide Radio, Gerard Bonner, JJ Hairston & Youthful Praise, John Legend, Justin Timberlake, Kenneth Mosley, Michael Jackson, NBA, Nigeria. Celebration of Gospel, The Remix, The Roots, V. George Smith. Bookmark the permalink. Trackbacks are closed, but you can post a comment.